Own a Lawn Care Company? Optimized officially went into business in early 2017. Ryan Sciamanna, the founder of Optimized, was currently prepping his other business for sale. In April of 2018, Ryan sold his first business and set his focus on helping other companies reach their goals by improving their online presence. That is what he had done for his first business and he saw what an impact it had on his life, his family’s lives, his employees’ lives, and the community as a whole. So, we are somewhat new to the scene although our team has years of experience dating back well before the inception of the company we currently operate under. We just want to see more people and companies succeed and feel we can do that by helping companies put there best foot forward with the way they present themselves online. We are the marketing agency you have been searching for! What does Ryan do at Optimized? Ryan is the company founder. He focused on producing value-added content on the Optimized Blog, YouTube Channel, and Facebook page to demonstrate the collective knowledge of all employed at Optimized. 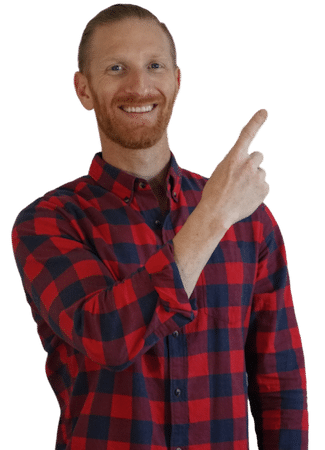 He is the on-staff WordPress wizard and does the SEO analysis on all client sites to determine the plan of action for the team. What does Noah do at Optimized? Noah was Optimized’ first employee. And boy did we find a good one! Noah coded out our very popular app for the lawn care community which you can find in the iOS and Android app stores for free use. Our ‘super niche’ is lawn care and landscaping companies and this was our way of providing extreme value to that community. Noah has knowledge of many common coding languages and his knowledge opens the doors for our company to do some really cool things for you online. Take advantage! Place: Anywhere sunny and warm! What does Amy do at Optimized? Amy is your concierge at Optimized. She handles the majority of the communication with our clients so the rest of our team can continue to focus on performing the actual work! What does Kayleigh do at Optimized? Kayleigh builds websites along with keeping us organized! She is also very familiar with Photoshop which comes in very handy with how visual the web is! Place: Any beach in the entire world! What does Samantha do at Optimized? Samantha builds new websites! Along with image editing and search engine optimization. What does Ivan do at Optimized? Ivan is well versed in many coding languages which allows him to add cool features and functionality to our websites. So we take advantage of that! His knowledge of cybersecurity is also an added bonus! We can reach out to you! Seriously, if getting more exposure online will benefit your business, we would love to talk to you. No-obligation, no-pressure. If we both feel like this would be a beneficial relationship, we can move forward.